Path of Exile’s next big thing – content update 3.3.0 – lands later this spring, and you might be wondering what’s going on with it. Grinding Gear has released a new FAQ to explain just that. For starters, it’s not an expansion per se – it’s more of a large update with a league attached to it. There is another expansion coming this year, and work progresses on it, but 3.3.0 is something else entirely. Check out the entire FAQ on the POE website. After visiting here you will be able to find out one of the best gaming website Mahjongg dark dimensions free online as these games are of tile games which can be played online directly in your android phone or in your pc. Interesting, but I already know I won’t be playing next league. 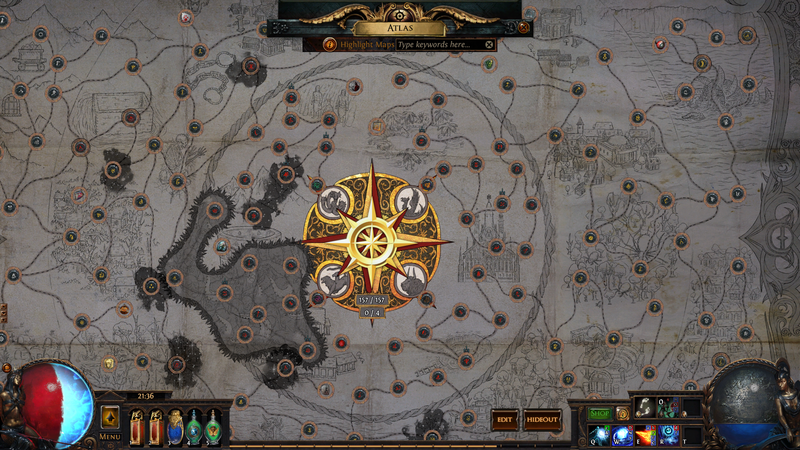 I kinda saw everything there is to see this league, and am starting to get bored. One can only skill spam and rush zones for so long before the repetitiveness starts to outweigh the fun of progression. Diablo, Grimdawn, Titan Quest, PoE, or any others. Its always about creating builds that are fun, or efficient, or creative, or all 3, and then just killing mass hordes of enemies with those builds for loot. Could ARPGs strive for more than that? Sure, but it seems that there is a fan base that is happy with it just being that. I for one am happy much of the time that there isnt more, because it means that I can play them off and on because I dont feel like I have to commit to them as much as say a mmorpg.